1. 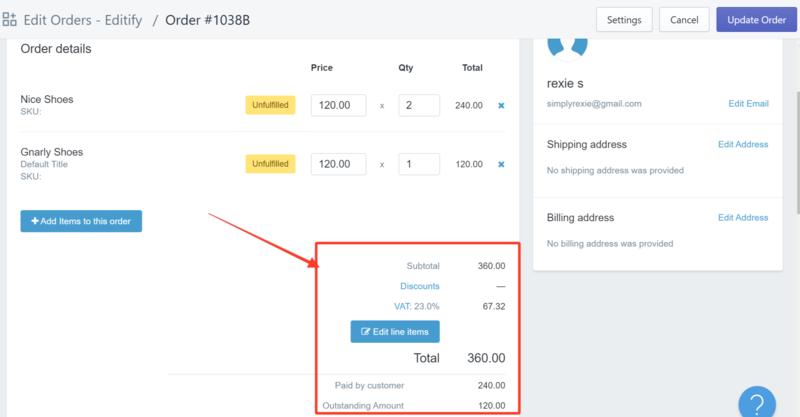 Customer has already paid for his order but there are changes that he wants to do to it. 2. You edit / update his order in the Editify app. In the example below, another product is added to his order. 3. 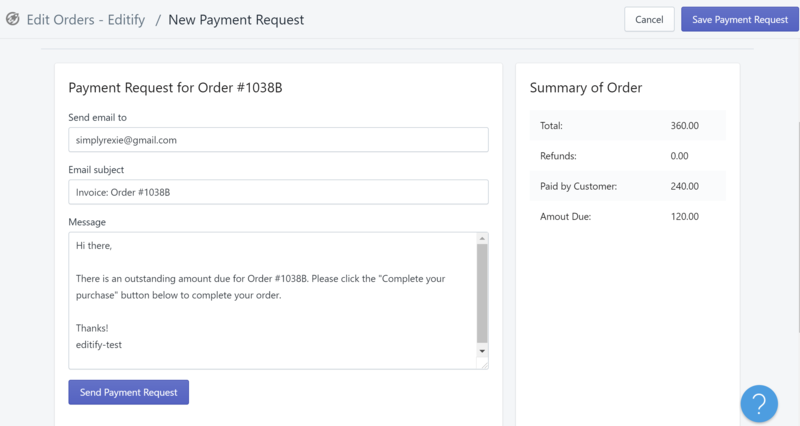 The new order total amount will be displayed with the amount the customer has already paid, and the outstanding balance. 3. You enable the Payment request for the remaining balance and send it to the customer. 4. 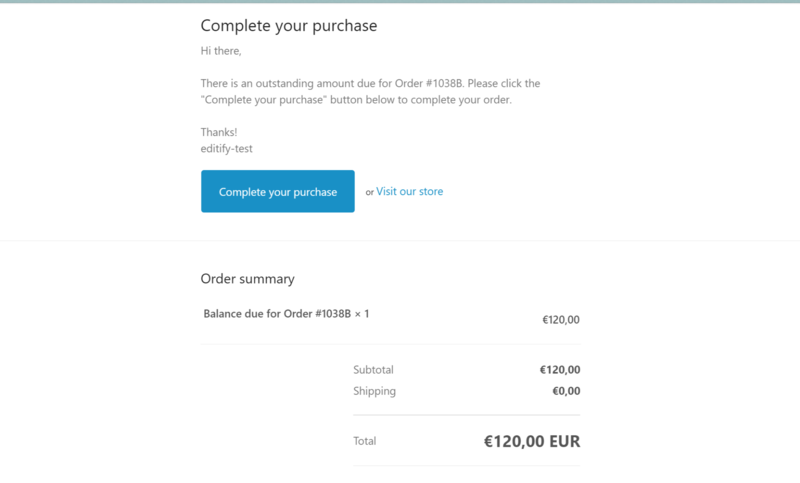 The customer receives the email and he has the option to pay by clicking "Complete your purchase" or by going to your online store.